In the church today, the New Apostolic Reformation (NAR) (previously known as the Charismatic Renewal Movement (CRM) and the New Order of the Latter Rain (NOLR), still encourage this forbidden practice, thus disqualifying themselves to be considered Pentecostal, orthodox or even of the Christian faith at all. What Bill Johnson omits in the written text is quite telling. Johnson is fully aware of the dangers of disclosing the controversial practice of laying on of hands to receive impartations of “spiritual gifts.” This is a form of lying. His selective truth-telling manipulates people into believing what he is to one group and what he is not, to another. 1. “We really want you to pray for us.” Ahn and Johnson really wanted something from Cho. 2. “He grabbed my hands and prayed.” To impart spiritual gifts on people, NAR Apostles will either lay their hands on a persons, head, shoulders or hands. 3. “It’s going to be a little bit of ‘ORU’, a little bit of Dr Cho and Korea” We already know Johnson already received “a little bit of” Oral Roberts’ impartation. So in saying “a little bit of Dr Cho,” this confirms that he received an impartation from Dr Cho (although Johnson is not explaining exactly what that impartation was). 4. “Anything else I can get.” This once again confirms that Johnson “got” in impartation from Cho in this prayer. The implications of what Johnson is saying is incredibly dangerous. In the book, Johnson records his third impartation came from Claudio Freidzon (“He came and laid hands on me…”). This makes him recall a time when not only Apostle Che Ahn laid hands on him but also Rodney Howard-Browne. This should disturb people in the New Apostolic Reformation – especially that Che Ahn and Bill Johnson allowed Yonggi Cho to lay hands on him and have him then impart onto others. Why? According to NARismatic theology, Christians can be ‘cursed and possessed by demons’ and receive ‘demonic impartations or powers’. There is a genuine fear among NARismatics that Christians under demonic influence can impart curses or demonic influences or powers on to other Christians. They believe this can be done with the laying on of hands. 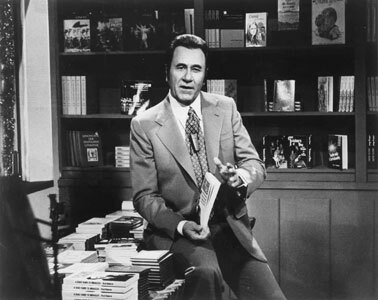 Don’t forget that Apostle Oral Roberts played a pivotal role in mainstreaming the New Order of the Latter Rain (NOLR) teachings into Evangelicalism through the 1950s Healing Movement and was central in constructing the Charismatic Renewal Movement (CRM). Bill Johnson is the fruit of the NOLR/CRM/NAR. And this is why he looks up to Oral Roberts as “a father” (the code word for apostle is “father”). He wanted to receive the healing anointing from Oral Roberts. It rang my bell, I tell you! It whacked me! And it didn’t happen the rest of the time he was praying. It wasn’t a normal thing, from what I understand. His arm absolutely shot out and just whacked me. And honestly, I’ve had three things happen to me in the last thirteen months that I’ve been praying about on this fast I’m on. Something happened in those events that will take a while to unravel. Oral Roberts praying over me was the first one. We didn’t bring up Oral Roberts, and I had just met him. I was just with him maybe three months earlier. And Dr Cho started talking about Dr. 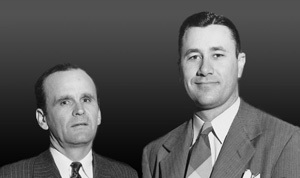 Oral Roberts and the inspiration he was, the help and counsel he was, and what a father he was… I sat there thinking, Man, this is a setup. This is a setup! I was still reeling from my encounter with Oral Roberts. Che said to Dr Cho, “We’d love for you to pray for us.” Dr Cho said, “Oh, I need for you to pray for me.” But we knelt in front of him, Che first and then me. I had specific things I was praying in my heart, and Dr Cho prayed exactly those things – line upon line- everything that was in my heart. “…about some of what we’ve seen happen throughout the years! And man! This- you know deal back in 1997 where there was an explosion, literally! I remember hearing about here, what was going on here. An explosion of God giving people gold teeth, gold crowns and stuff. And we had it happen here. We didn’t have it explode like it did there, but we, but I just saw it happen here just a few weeks ago again. Somebody who had no gold teeth, had a gold tooth in their mouth, and it’s just fascinating. Why would the Lord do it? You know, I don’t know, He just has fun. He just enjoys messing with our head I guess. My favourite story of that era, was a man who spent $10,000 to have all the fillings removed from his teeth, and he had them all porcelain so they looked natural. And he went there and got five gold teeth so for me that is absolutely the evidence of divine humour, right there. Hands down, that is divine humour. John Arnott told me himself, he says, “It was really a stretch, but then I got one.” And he says, “I went back to my dentist, he checked it out, he didn’t know what to do. He’s a believer but he couldn’t accept that God would just create it. So he said, Maybe you’ve been drinking a lot of orange juice or something.”” Which to me, that takes faith to believe that a lot of orange juice will turn a tooth into a gold crown. That’s extraordinary faith right there, I don’t have that much faith. One third, but then there’s two thirds. You want to hear stories? No you don’t want to hear stories. Hehehe! We’ve got to read some scripture to make this legal. I’m already being accused of being a cult leader. I can at least use the Bible. Real quick, I’ll end with just a personal story. Last September, I got to meet with Oral Roberts, and about 30 of us were in his living room, and it was pretty amazing. I went to sit at a distant seat and the lady in charge put me right next to Oral Roberts. So I was sitting there with my iphone trying to be really… but taking pictures, you know, of the guy sitting right here on my left, you know. Trying to act cool, but being stupid at the same time, you know, just trying to be stupid in small measure. Just small amounts of stupid. I was just in Korea last week, and we had a wonderful time, I was there with Che. But something I never thought, I didn’t know what ever happened, I got to meet Yonggi Cho, Dr. Cho, who is amazing. And Che and I got to have a personal meeting with him, and so when it was my time to talk, you know Benny and I first heard him talk in 1973. And I told him, “the first time I heard you speak was in 1973, when your church was just a small little church of 125,000 people”. For those of you who don’t know, he’s a Pastor in Korea, he’s retired now, but he had a church to petty close to 1 million people in it, so he had to tell his people what service to go to just so they could all get into the building. But it was so fun, and then Che started talking about, you know we really want you to pray for us. And there was just that sucking sound in the room, Che and I are just sitting there going please, please, please. And then he said, “We are all the same, we’re all the same.” And we’re like, yeah, yeah right, thanks for the compliment but we know better, we don’t want to leave until you pray for us. And so, he made this comment, he said, “you know, the most influential person in my life was Oral Roberts.” And Che was ministered to by Oral Roberts in October of last year, one month after I did, and he died I believe toward the 1st of December. ‹ Resource: How to Recognize Lies.